Apple is making things ready for the users to experience the best in the next version of iOS, i.e. 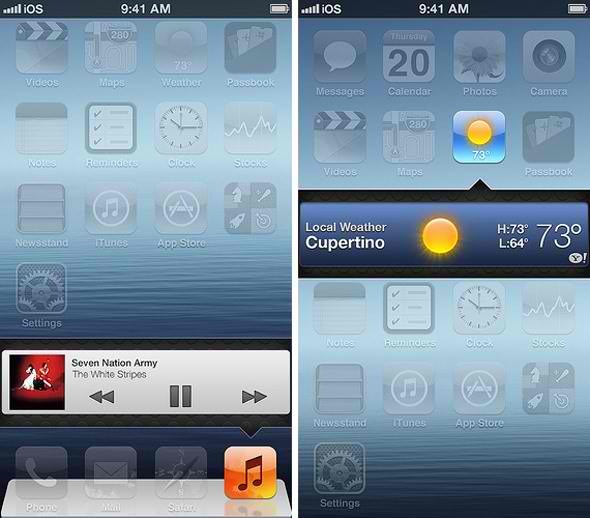 the iOS 7 but the expectations, the concept designs have been looking great and one would wonder whether these features would really come in the next version, and if they appear, it would surely be an excellent competition to the Android OS, with the number of fans Apple has already got in the market. These were a few shared by Flicker user ‘F.Bianco’. The iOS 7 concept that is shared here looks too excellent, with a few features that were although seen mostly in the Android devices, are taken to the next level here. 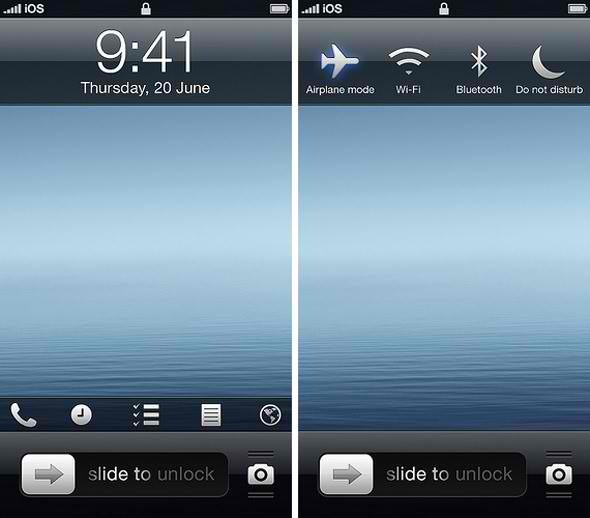 The slide to unlock feature isn’t looking limited, as there are shortcuts for a few function such as Dialer, Clock, To-do list, Web browser etc., and the top having a few connectivity shortcuts like Airplane Mode, Wi0Fi, Bluetooth and the Do not Disturb mode where most of the connectivity is stopped when that mode is turned on. The notification panel in the iOS 7 concept shows a few features like the connectivity options, including the Wi-Fi, Bluetooth, Airplane Mode, 3G connectivity, Locations, Data Network, Hotspot, Wi-Fi Sync, iSafe etc. 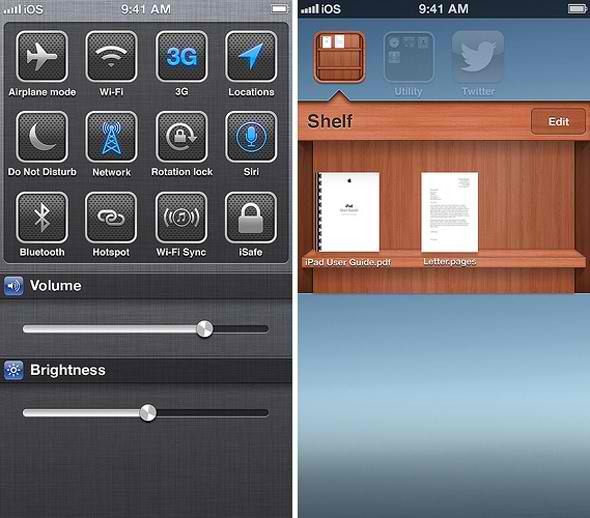 and the book reader app known as Shelf looks apt as the books are arranged like in shelves. 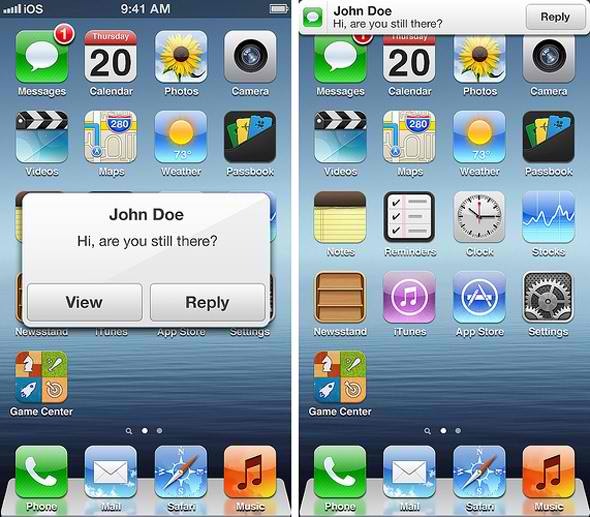 The concept shows all around a few great additions which should come real handy for the smartphone users, and these even include the messages that come as push notifications along with the option to reply or view the message, and the same appearing as a notification on the top, with similar options. The iOS 7 concept does show the in-app shortcuts, where one could easily open the main option of the app from the app list itself, like clicking on the icon of the iTunes would open a tiny player with the options to play, pause, forward and previous song with the tiny song info. Similarly, clicking on the weather app would open the weather details of the particular place without opening the entire app. The features expected in the iOS 7 operating system do look nice and pretty useful, but it’s just a matter of short time before we can see whether these actual features would be implemented in the official iOS 7 OS from Apple when they would be coming up with the new iPhone too, probably the Apple iPhone 5S.